faster and with less wet bedding! 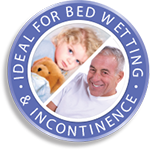 Are you looking for the best solution for bedwetting in children? With the Up and Under Linen & Mattress Protector, you won’t be stripping the entire bed in the middle of the night or washing loads of wet sheets, blankets or doona in the morning. Are you tired of changing the entire bed at 4am? There’s endless nights of stripping and refitting sheets, doonas, quilts and blankets! Then in the morning you gather all the wet sheets and blankets to wash, hang and dry. 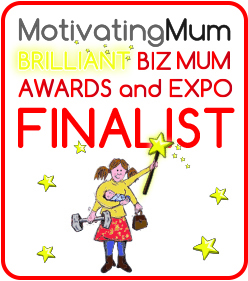 Not forgetting the dreaded remaking of the bed and doing it all over again the next time your child wets the bed. There has to be a better way… right? Well there is! 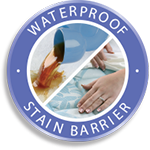 The Up and Under Linen & Mattress Protector is the perfect ‘all in one’ bedwetting solution. 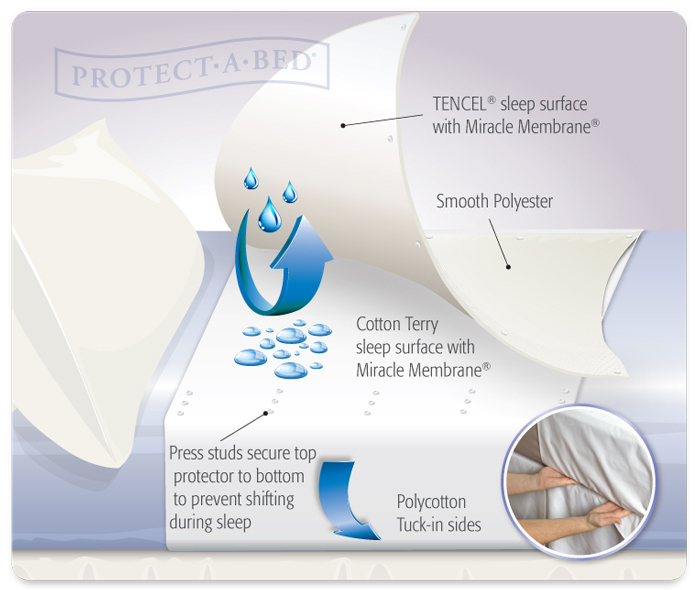 This premium, drawsheet style mattress protector with its absorbent terry towelling surface and breathable, waterproof top sheet, which folds over your child’s body, prevents both the mattress and all other bedding from getting wet. You will never need to strip and remake the entire bed again. Happy days! The next time your child has a bedwetting accident simply change their pajamas then pull back the covers or blankets, remove and replace the soiled Up and Under Linen & Mattress Protector before putting your child back to bed. In the morning you will only need to wash the soiled Up & Under and your child’s wet pajamas. Quick, easy and stress free!